These salty mussels and rich, spicy sauce get a fresh boost from the parsley. Serve with sourdough for a hearty meal. Place a large saucepan over a medium heat and fry the chorizo until golden. Add the butter, shallot, garlic and chilli and fry for 2–3 minutes, until the shallot is tender. Pour in the cider and bring to the boil. Discard any mussels with broken shells and any that refuse to close when tapped. Add the mussels to the cider, cover with a lid and allow to steam for 4 minutes, or until open, shaking once or twice during cooking. 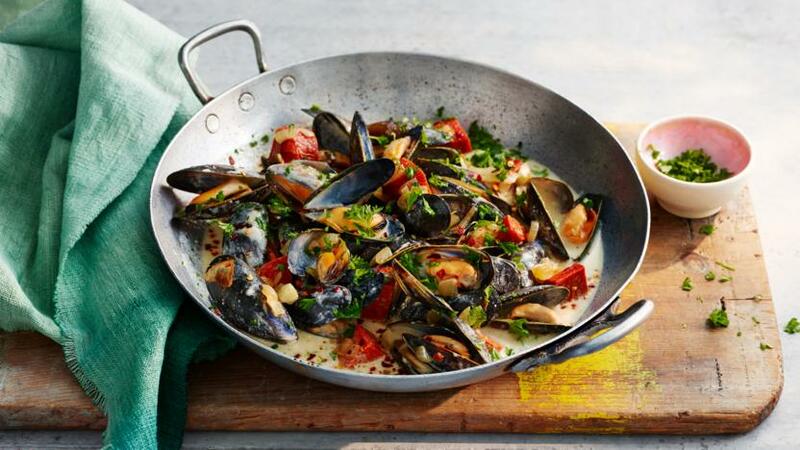 Remove from the heat and discard any mussels that remain closed. Stir in the cream and parsley, then season with salt and pepper. Serve with sourdough to mop up the sauce.